Les Mills is an international music group fitness class that basically works on choreographed exercise-to-music. It’s a high intensity workout, and you can sign up for this at F2 Fitness. Les Mills started off in New Zealand, and slowly raged its way across the world. Closer home, F2 Fitness gym offers this workout. Currently, they offer it at locations, Khar and Breach Candy. At Breach Candy, they are conducting classes at Nitrro Bespoke Fitness and we’ve been told they’ll be relocating to Bandra in a month’s time as well. Les Mills offers different types of workout forms like bodybalance, body pump et al. Remember how we told you about a brand New York workout coming to the city? It’s on the similar lines. The body pump workout is basically for anyone looking to get toned, lean and super fit super fast. It is all about the body workout which emphasis more on exercising to the music beats as opposed to relying on heavy gym machines. F2 not only offers les mills classes in fact their instructors are les mills trained as well. 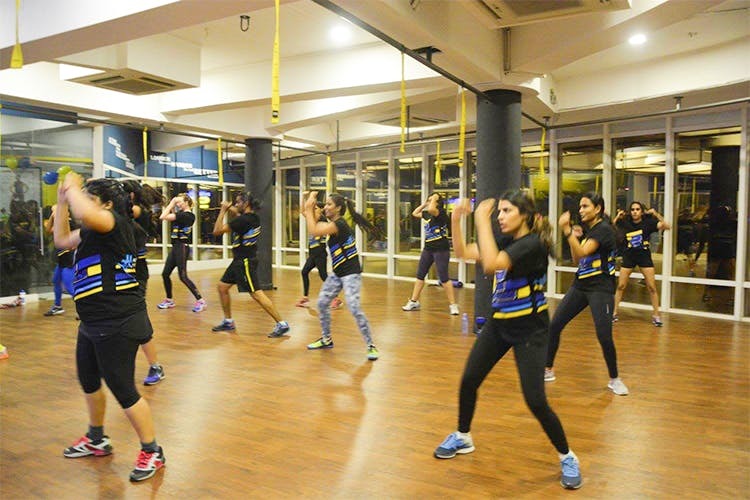 For INR 9,000 for three months, you can join the gym and avail the specific classes and sing up with the instructors. However, if you want to give it a try, sign up for a free trial. We’ve been told Nitro Fitness is conducting free trials for a month. #LBBTip: Another place offering les mills workout is Fitness First, so if the location is inconvenient for you, check them out as well. If you’re all about the music when it comes to working out, then les mills is perfect for you. It’s a workout which picks up pace with beats and is customised according to your body fitness level.